The Oyo State Commissioner for Education, Adeniyi Olowofela, has reacted to the agitations of the Non-Academic Staff Union (NASU) of The Polytechnic, Ibadan. 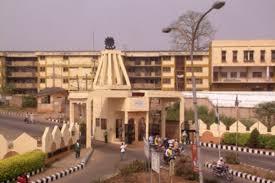 It was reported the commencement of a strike action by the non-academic workers of the institution on Wednesday. Adeniyi Olowofela, in a telephone interview tasked the governing council of the school to take responsibility for the ‘striking’ workers. “The question of how to sort the NASU members is not for the state government but for the governing council of the institution,” he said. He highlighted the roles and the intervention of the state government in the school so far. “From April 2016, the government of Oyo State is giving The Polytechnic Ibadan N55 million monthly. “We held a meeting with the management and governing council a month ago and we told them about the intention of the government in line with the KPMG report to increase the subventions of tertiary institutions relatively to their needs and abilities. “The government has increased the subventions to N83 million monthly. “Apart from that, the schools are also charging school fees and government is not demanding anything from them. “They are also generating other forms of IGR (internal revenue) on their own and the government has never bothered them on what they are doing with the funds. “The government is not owing anybody. When we are talking about autonomy, the institution is independent as far as autonomy is concerned. And that is why the government is not taking anything from the school fees they are charging. However, the spokesperson of the institution, Soladoye Adewole, absolved the authorities of the school of responsibility. He stated that the strike is between the union and the state government. Mr. Soladoye also spoke on the threat by the union members to disrupt academic activities in the school, if their demands are not met.